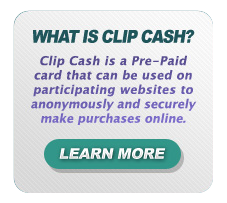 ClipCash can be used on any participating websites. 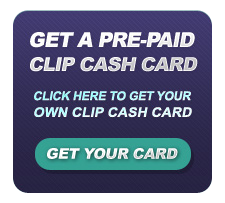 The reason why you want to use ClipCash Card is the more you use the card, the more free clips you earn. To signup for a card, go to GET CARD. You can reload your card with all major credit cards or mail in a check, cash or money order. Once you load the card and you do not use the card. You can refund the card up to 6 months from the date of loading. To get your card is very simple. Fill out the application with your name, address, etc..
To reload your card, you must enter your card number and password and follow the instructions. 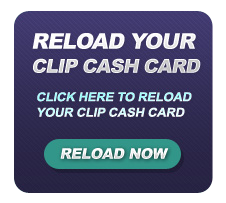 Once you reload your card, you will receive free clips. The scale is as follows.